The Star of Hope Lodge, founded in 1874 as the local Independent Order of Odd Fellows, met for generations above the M.K. Kiff store. As the order, members purchased the store and the adjacent building, joining the two and adding the now famous mansard-roofed third floor in 1885. The clapboarded building continued to house retail on the first floor while the second and third floors functioned as meeting space and a lodge hall for the IOOF. Standing proudly on the north side of Main Street it is still one of the largest buildings along the waterfront and a reminder of the prosperity of Vinalhaven’s granite industry. The IOOF used the building until the 1930s, after which a drugstore occupied only the first floor. In 1969 the Order sold the building to noted photographer Eliot Elisofon, and the pop artist Robert Indiana subsequently rented the building. In 1977, after Elisofon’s death, Indiana purchased the property, completing a full restoration in 1981. It was listed in the National Register of Historic Places the following year and Indiana used it as his home and studio until his death in 2018. Today, the Star of Hope towers over Main Street, but windows are boarded up, there is a tarp over a hole in the roof, and the exterior clapboards and sheathing have deteriorated significantly. Robert Indiana became more reclusive as he aged and, despite his affection for his home of four decades, it fell into a state of decay. His estate is currently embroiled in a federal lawsuit filed by Morgan Art Foundation Limited that alleges individuals close to Indiana have sold his works without proper compensation, forged some artwork as well as isolating and exploiting him. Indiana’s will calls for the Star of Hope to be turned into a museum of his artwork, as well as a public space for lectures and classes. As the current legal battle drags on the building continues to deteriorate. All parties involved in the administration of Indiana’s estate must ensure that pending legal action does not cause further dangerous deterioration of the building. 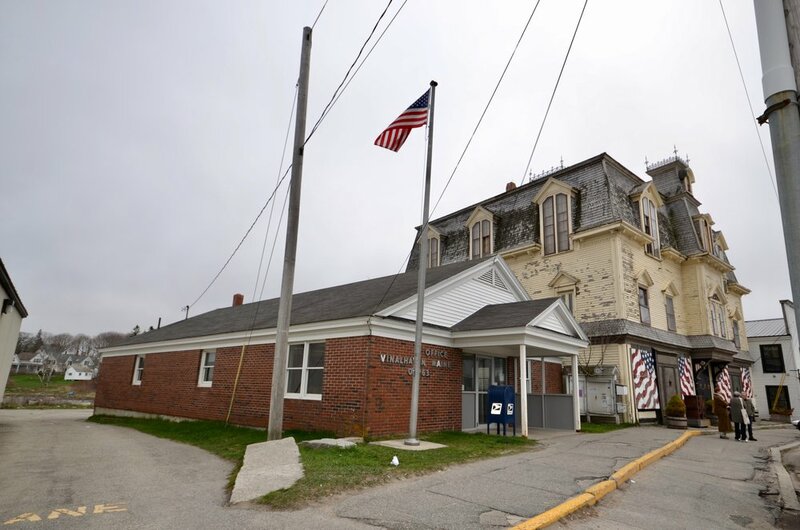 This building is the centerpiece of Vinalhaven’s Main Street and its restoration is key to the economic health of the downtown and to the legacy of Robert Indiana. Immediate repair of the roof and windows, and the stabilization of any structural deficiencies will allow the building to be ”mothballed” until the Indiana estate is able to move forward with complete restoration. If nothing is done in the short term, significant exterior and interior features of the Star of Hope will be lost.